water so we decided to check some of them on the way up to Westport. We ran 15 or so pots and scored 70 crabs, which was enough for them to have a nice feed back at camp, and proceeded on to Westport to find some big lingcod. Well, we did just that. At first the bite started off slow and by the end of the trip, they were snapping! We ended up with 57 lings and around 1/2 limits of rockfish. 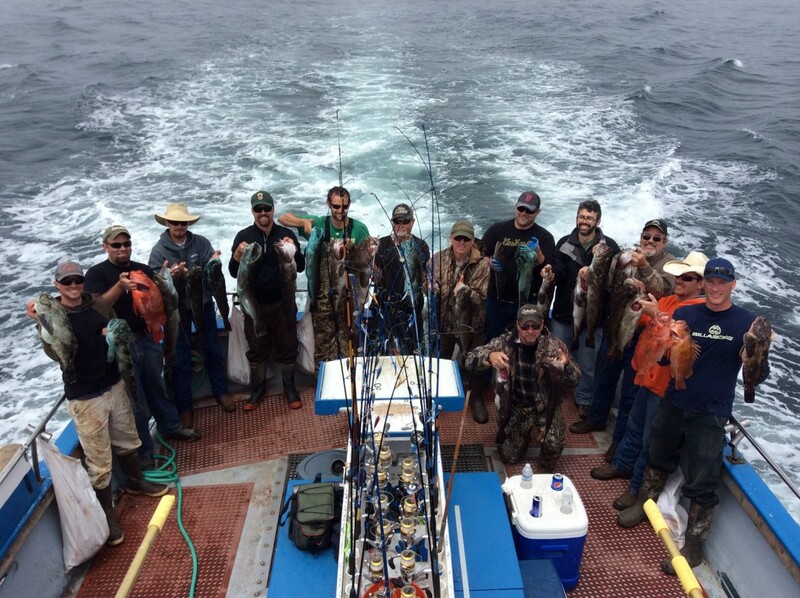 Limits of lingcod and a nice grade of rockfish. Biggest lingcod was caught by Dave Austin from Martinez, Ca. weighing in at 20 lbs. Fish-On! This entry was posted on Saturday, May 30th, 2015 at 8:00 pm and is filed under Fishing Reports. You can follow any responses to this entry through the RSS 2.0 feed. You can skip to the end and leave a response. Pinging is currently not allowed.